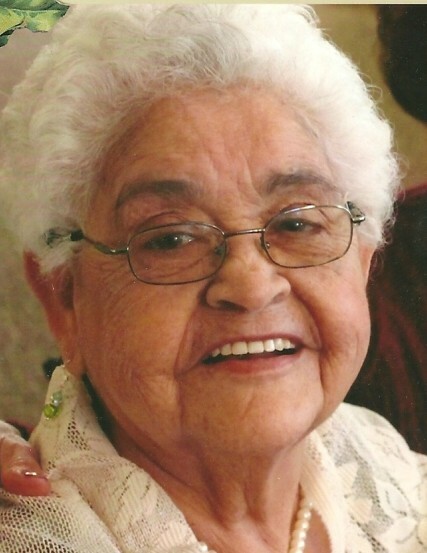 Estella M. Sanchez, 92, went to be with the Lord on Wednesday, October 17, 2018. Estella was preceded by her parents Alejandro and Isabel Maestas, her loving husband of 50 years Esmenio Sanchez, and her sister Lucia Rorex. Estella is survived by her children; Christine Martin, Lorraine Abeyta and husband Rob, Patricia Le and husband Thich, Sandra Sanchez, Theresa Redd and husband Don, her special dog Lola, two brothers, three sisters, 10 grandchildren, 18 great grand children and many nieces and nephews. She loved her family dearly. The family would like to thank Legacy Hospice for her care during the last days, especially Jessica Ayon her nurse and grand daughter. Estella's Life Celebration will begin with a Rosary on Monday, October 22, 2018 at 6:00 pm at St Therese Catholic Church located at 300 Mildred NW. Mass will be held on Tuesday, October 23, 2018 at 9:00 am also at St. Therese. Interment will follow at Santa Fe National Cemetery. Pallbearers will be Vincent Le, Philip Le, Henry Geoffrion, Joseph Sanchez, Matthew Sanchez, and Ben Trejo. Honorary Pallbearers will be Marco Zamora, Rob Abeyta, Don Redd.